Since the development of the first effective clinical approaches beginning in the early 1990s, allogeneic hematopoietic cell transplantation from a relative donor who is mismatched for one Human Leukocyte Antigen (HLA) haplotype [HLA-haploidentical transplantation (haploHCT)] has become an effective and widespread treatment for patients with high-risk hematologic malignancies, the majority of whom lack an HLA-matched donor. Bi-directional responses to mismatched HLA molecules are associated with high risk of adverse reactions driven either by donor alloreactive T cells against recipient tissues i.e. graft-versus-host disease (GvHD), or by host alloreactive T cells against the graft (graft rejection). Immunological insights from biological studies and preclinical models of mismatched grafts have been essential for the development of successful protocols for haploHCT. The first successful haploHCT protocol was based on a myeloablative and immunosuppressive conditioning regimen and the infusion of a “mega-dose” of T-cell-depleted hematopoietic stem cells without any post-transplant immunosuppression. This approach achieved a high rate of engraftment and low incidence of GvHD. Furthermore, the absence of post-transplant GvHD prophylaxis facilitated the graft-versus-leukemia effect mediated by alloreactive NK cells and residual alloreactive T cells. However, donor post-transplant immune reconstitution was slow with a high risk of infection-related mortality and relapse. Since then, T-cell-depleted haploHCT has become the basis for innovative cell therapies that boost T-cell immunity while controlling adverse alloreactions. These therapeutic strategies include (i) the infusion of donor T cells transduced with suicide genes (e.g. HSV-derived thymidine kinase or inducible caspase 9 genes) and (ii) the adoptive transfer of donor effector T cells and regulatory T cells. Preliminary studies suggest that these immunotherapies can improve immune reconstitution post haploHCT and lead to better control of leukemia relapse. Other research groups have exploited various strategies of cell graft selection with the aim to deplete T-cell populations that contain alloreactive T cells such as αβ+ T cells or CD45RA+ naïve T cells. At the same time, novel strategies that aim to control T-cell alloreactivity have made unmanipulated (T-cell-replete) haploHCT feasible and effective. One approach is the administration of high-dose cyclophosphamide following graft infusion, which allows for the immunomodulation of alloresponses while sparing donor hematopoietic stem cells. Current trials of haploHCT with post-transplant administration of high-dose cyclophosphamide are associated with high engraftment rates and low incidences of chronic GvHD and non-relapse mortality. Another strategy is the modulation of T-cell immunity using granulocyte colony-stimulating factor-primed grafts, anti-thymocyte globulin, and intensive post-transplant immunosuppression. This protocol is associated with favorable survival but with increased incidence of acute and chronic GvHD. Overall, the use of T-cell-replete grafts has greatly contributed to the rapid dissemination of haploHCT worldwide. Most importantly, comparative studies show that survival rates post haploHCT now are similar to those after HLA-matched sibling or unrelated donor transplantation. Overall, an in-depth understanding of the underlying immunological mechanisms and biology of haploHCT, have made it a safe and effective treatment. However, further improvements are needed to achieve better outcomes, particularly in patients with unfavorable prognosis, such as transplant patients with chemo-resistant disease, elderly patients and/or medically-unfit patients. 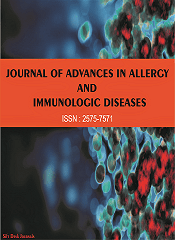 In this Research Topic, we welcome the submission of Original Research and Review articles that dissect the immunological mechanisms underlying the outcomes of haploHCT. Furthermore, we welcome Clinical Trials, Case Reports and preclinical studies covering new immunological strategies to improve survival and reduce transplant complications.